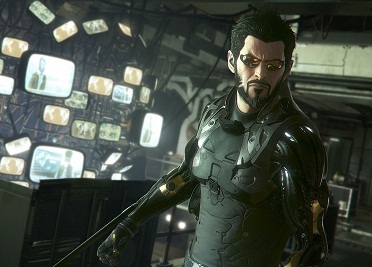 In Deus Ex: Mankind Divided (DXMD), hacking was optically expanded compared to its predecessor. Nevertheless, it remains a challenge to understand the hacking. But if you want to get access to a computer, hacking is not necessarily the only solution. Sometimes take or get access code and can easily enter it. For this, you have a certain number of attempts, which means that you can easily enter such numbers in the console. But guess brings you to the point even further so you save time. The following list explains the most important terms, which the topic hacking in Deus Ex: Mankind Divided is linked. Tracing: This concept of firewall attempt is to catch you. The red balls on the map mark mind the safety software. From it, the search starts after the intruder - thus after you. I / O Port: This is the blue ball, which determines the starting point for hacking. Here you begin with the hostile takeover. Registry: These are the green balls your goal is hacking. There is always at least one green sphere on the map and only if you have taken all, the hack is successful. Node: The square points on your way to the registry are nodes and must be taken to reach the goal. Memory: This is to towers that can take you and you will be rewarded with credits, EP and hacking software. Once you start hacking, you will see either the complete map or they will darken and you can only try to find out the route to the destination with special hacking software. Theoretically, you have to get out of the blue ball, by working node by node to the green ball. In our guide to the augmentations , we describe all the skills, while focusing also on those who are meant to improve their skills on hacking. Look at this, if you notice during the game that the hostile takeover problems. This may be because the security level of the hacks increases farther. Of course at the beginning of the game you can find hacks with security level 5. This you can master only with the corresponding augmentation. The following list gives you tips which will help you when hacking. - Before you start a hacking attempt, first you should look around the room and the nearby premises. Often you will find there hacking software which will help you in the acquisition. Alternatively, you can purchase this also in stock at dealers. - If you have started a hack, then take your time and look for the best possible way. - Notice when hacking the lines on which you can move. Arrow marks show you the way, you can also zoom into the map so that you may know everything better. - Check out the knot carefully. Next to each item you see a number that indicates the level of security. If you choose a node from which you level is also displayed. Here you can read the gain discovery and use hacking software. - Have you encounter a point from which go further distances and one leads to the next point and the other to a data store, then you can go both ways simultaneously. When the alarm is triggered depends on the security level of the firewall. However, there are triggers, which trigger that firewall security. This often involves the transfer of data storing and APIs.